Thomas Tuchel said it is only "half-time" in the Champions League last-16 tie as the Paris Saint-Germain head coach remained grounded following Tuesday's 2-0 win against Manchester United. PSG outclassed United at Old Trafford - Presnel Kimpembe and Kylian Mbappe condemning the Red Devils to their first loss under caretaker manager Ole Gunnar Solskjaer and heaviest home defeat in European competition. Tuchel was without star pair Neymar and Edinson Cavani for the trip to Manchester but PSG were the superior side as two goals within seven second-half minutes - inspired by Angel Di Maria - put the French champions in the box seat. United star Paul Pogba was sent off following a second yellow card in the closing stages, however, PSG boss Tuchel refused to get carried away with the result ahead of the return fixture in Paris on March 6. 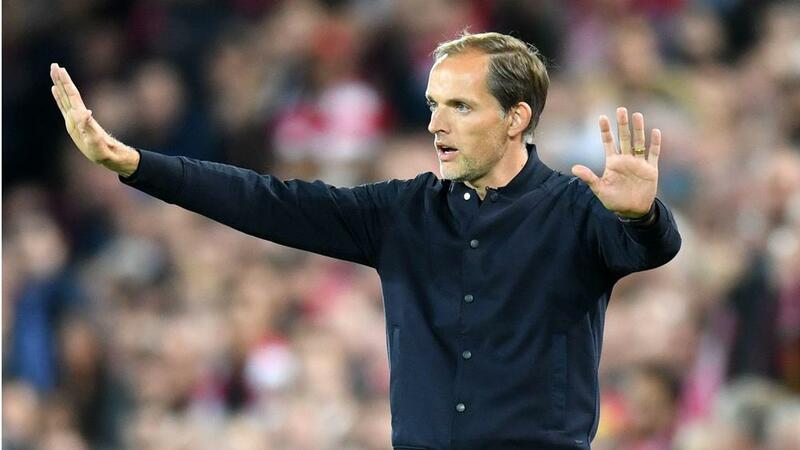 "We played with a good mix, very tight and close to each other when we were not in possession, working hard to close spaces down and help each other," Tuchel told reporters. "Ready to run too but with a good mix of aggressiveness, but also playing cool and calm on the ball. We used our midfield players to set the pace and rhythm of the game, to control it. "I think during the first half we lost the ball a little bit too easier. We were always looking for a solution, trying to be too hasty and forcing things in the opposition half. This is dangerous as you can be caught on the counter, but we played with a good structure and mental approach and a huge amount of confidence. "In the second half we became more and more in control of the game. That was why we won. But we're only at half-time in the tie and we have to be ready for the second half." "We know we are capable of winning, but they are capable of winning in Paris as well," the German added. "That's what sport is all about, particularly when we are playing football and in the Champions League. Now of course we will enjoy this but tomorrow we start preparing for the game against Saint-Etienne and then the gave against Manchester United. "We cannot rest on our laurels and start thinking about the quarter-finals as it is only half-time in the tie. It's 2-0, a good result, but only at half-time and no team have ever got through after one leg. We have to be ready to work hard with the same approach and mentality, working hard together, to be well prepared and to put ourselves in a good position to win again." Tuchel continued: "We needed to make sure we were applying pressure and using our central midfield players to dictate the pace of the game. I also said we need to be more patient as well because sometimes we looked too hard for the solution. Our pressing game was good in the first half but we needed to be more patient. "We needed to stay united with the two central midfielders playing together almost as two number sixes to take the game in the opposition half and control the pace there and use the rhythm to create chances. I told them to be patient. It was difficult in the first half but the same tactics in the second half and I think our guys grew in confidence as the game went on, which is what we expected."